CIPP (Cured In Place Pipe) is often referred to by it’s many other names, trenchless repair, zerodig repair, and nodig repair among others. Trenchless sewer line repair isn’t quite new, but relative to the traditional method, it is. It was invented in the 1970s but didn’t become mainstream until the 1990s. Since then it has grown significantly in use all over the industrialized world. It has gained in popularity for many reasons, but we at Precision Lining & Sewer feel that the biggest reasons are its convenience and its quality. It is convenient to have trenchless sewer line repair because your sewer line can be fixed in a day or so. It is convenient to have your yard remain beautiful. It is convenient to not have to additionally pay a landscaper to come in after your sewer guys leave. It is convenient to spend less time and money on a project that you didn’t want to have to do in the first place. With all that said, it is important to note that there are many other benefits to trenchless sewer line repair including the fact that it is friendlier to the environment than traditional sewer line repair. It is also much more durable than other pipes, and because it is seamless, it is much less prone to cracks, leaks, root intrusions etc. The resin used and the trenchless pipes are built to last a minimum of 50 years but are predicted to last much longer. Your traditional pipes (clay, lead, steel and PVC) are prone to breaks, roots, and leaks which cause them to require repairs sooner than their expected lifespan. So how does it work?? 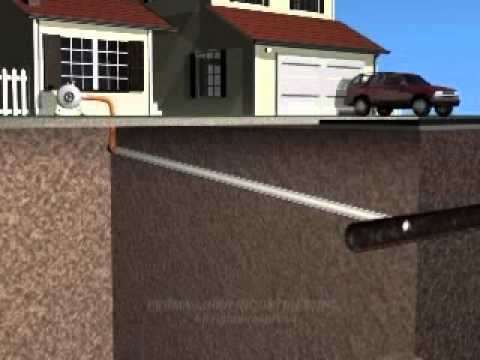 Well, you can check out the pictures and videos below for a better understanding of the trenchless repair process. We regularly provide our Trenchless Sewer Line services to the following cities: Owatonna, Faribault, Northfield, Austin, Albert Lea, Waseca, Mankato, New Ulm, Kenyon, Kasson, Rochester, Winona, as well as the entire Twin Cities area of Minneapolis and St. Paul. We are not limited to Southern Minnesota. If you are not in our regular service area we still would like to help, so contact us today for a free quote.